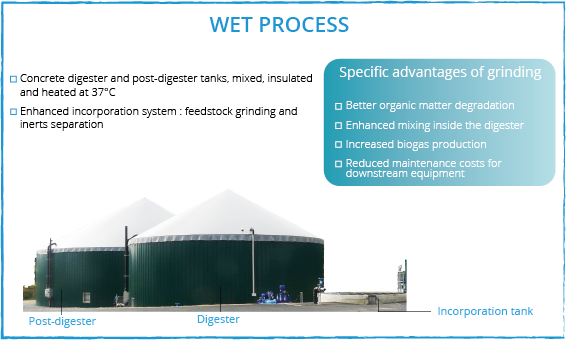 Naskeo is expert in designing, constructing and commissioning biogas plants under the technology called “wet process” or CSTR (Continuous Stirred-Tank Reactor). This technology is dedicated to feedstock mix below 20% DM (dry matter). 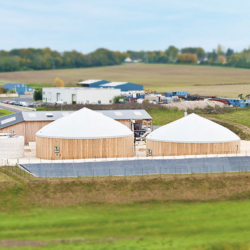 Anaerobic digestion Organic matters are incorporated in concrete digester and post-digester tanks, mixed, insulated and heated at 37°C. Within the double membranes above tanks, biogas is stored and H2S is removed by air injection. 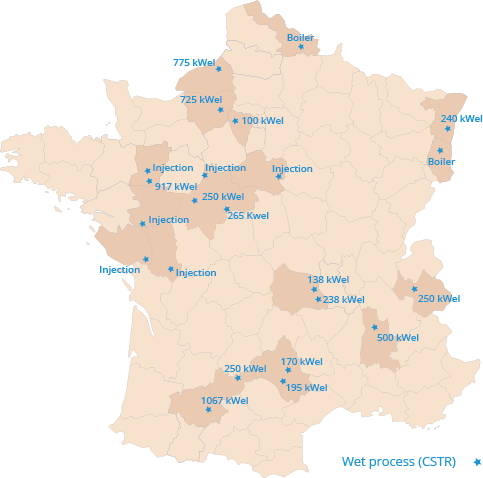 Biogas is then sent to the valorization unit (CHP or upgrading unit).